DAVIS, Calif., Sept. 20, 2018 /PRNewswire/ -- Evolve BioSystems, makers of Evivo® baby probiotic, today unveiled its prototype for the first-ever rapid-response infant gut microbiome screening test. Using a small stool sample collected from a diaper the test will detect levels of Bifidobacterium, a group of beneficial gut bacteria that are especially critical during infancy. The Evivo stool test will allow doctors to discern whether babies have high or low levels of this key beneficial bacteria, Bifidobacterium. Evivo's quick and non-invasive test measures the presence of markers that indicate low or high levels of good Bifidobacterium, such as acetate and lactate. A stool sample containing high levels of these markers will be strong enough to change the test's liquid display from pink to yellow, indicating high levels of Bifidobacterium. The liquid will remain pink if a sample has low levels of acetate and lactate, indicating that Bifidobacterium is missing and that key nutrients from breast milk, human milk oligosaccharides (HMO), are being wasted. Evivo has commenced rigorous clinical trials with the prototype to demonstrate the results from infant stool samples. The development of the prototype is led by Dr. Bethany Henrick, Ph.D., Director of Immunology and Diagnostics for Evivo. With more than a decade of experience designing and creating rapid, point-of-care diagnostics, Henrick was formerly an integral part of the team that developed and optimized the world's fastest point-of-care HIV test in 2005. "Currently there is no way to easily determine whether a baby is colonized with healthy bacteria," said Mark Underwood, M.D., Chief of Neonatology at UC Davis Medical Center. "The ability to quickly measure levels of Bifidobacterium in a stool sample would enable pediatricians to identify babies with low levels of these beneficial bacteria and take appropriate action." Evolve BioSystems' Evivo is the only baby probiotic clinically proven to restore Bifidobacterium to a baby's gut and reduce potentially harmful bacteria by 80 percent. In a landmark clinical trial, Evivo produced rapid, substantial and persistent stabilization of the infant gut microbiome, to help set a foundation for life-long health. Evolve BioSystems, Inc. is a privately-held microbiome company dedicated to developing the next generation of products to establish, restore, and maintain a healthy gut microbiome. Evolve recently completed a $40M Series C round of funding co-led by the Bill & Melinda Gates Foundation and Horizons Ventures, the venture division of the Li Ka Shing Foundation. Evolve is a spin-out from the Foods for Health Institute (FFHI) at the University of California, Davis and builds on more than a decade of research into understanding the unique partnership of the infant gut microbiome and breast milk components. Having led to the development and commercial launch of products to resolve newborn gut dysbiosis, including Evivo® for infants, Evolve's discovery platform is now being applied to solving gut dysbiosis throughout the human life cycle. 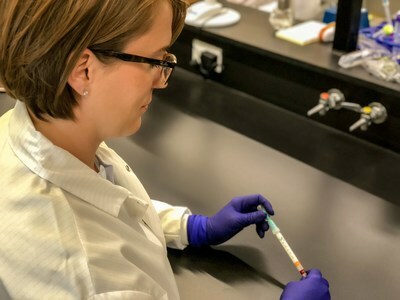 In addition to the landmark proof-of-concept trial, Evolve is undertaking further clinical studies to build out its suite of microbiome-based solutions.